with screening programmes. For example: does breast screening lead to the over treatment of breast cancers that would never cause a problem? Perhaps, not surprisingly as it was a radiological conference, that problem was attributed to treating clinicians who over treat them! (The argument put forward was that the radiologists only diagnose the small cancers: it is the surgeons and oncologists who over treat them). I may be biased but I don't think that is a true reflection of the situation! There was a lot of discussion about supplementary imaging of the breast. Breast screening generally starts with a mammogram. When should an ultrasound be performed? Are more cancers picked up as a result of doing more US? When should a breast MRI be performed? The important question that is much more difficult to answer is does more imaging stop women dying from breast cancer? The second morning was spent on interpretation of images: mammography, US and MRI. Prof Michael Linver gave a talk about the role of the Radiologist as a clinician. 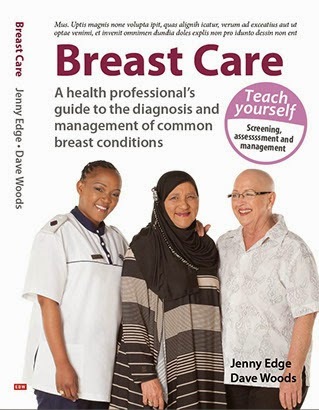 He stressed the importance of doing a thorough breast examination and communicating with both the women being imaged and other members of the multidisciplinary team. The afternoon session was a multidisciplinary session. The first talk, given by Dr Jakolsen, was about screening for metastatic lesions after the diagnosis of breast cancer. She made 2 main points. Patients with early breast cancers (Stage 1 or stage 2A) need no screening for metastatic lesions. Physiological screening (PET Scans) may be better than anatomical imaging for those who do. Dr Sarah Nietz gave an excellent talk on the changing face of breast surgery. She was followed by Prof Frank Graewe who talked about breast reconstruction and then Dr Rika Pienaar who talked about how the histological subtype of the cancer should direct follow up imaging rather than stage of disease. The final day started with Dr Simon Nayler (pathologist) who talked about the information needed from radiologists. Once again, the need for multidisciplinary discussion was stressed. Dr Smilg gave an excellent talk on breast changes in HIV positive men and women. Dr Ramaema gave an overview about TB of the breast. There have been no prospective studies done on the subject. A retrospective study done in SA by Dr Ramaema looked at the use of PET scan/MRI scan in differentiating breast TB from breast cancer. (My experience in Cape Town is that only 50% of women who present with TB of the breast are HIV positive). Dr Loftus gave an overview of the Xhosa perspective of breast cancer. The majority of talks at the the conference were from the guest speakers, Prof Jessica Leung, Prof Michael Linver, Dr Maxine Jochelson, Dr Reni Butler and Prof Wendy DeMartini, who are all from the USA. I learnt a lot from all of them but as this is a Cape Town blog have chosen to write more about the local speakers. Many thanks to the local organisers: Prof van Rensburg, Dr Eugene Jooste and on a personal note, I would like to thank Dr Richard Tuft. Please come to BIGOSA in Joburg on 21st and 22nd October. I appreciate the efforts of BIGHA to protect the south africa from breast cancer and awareness program is the first step to cure it.